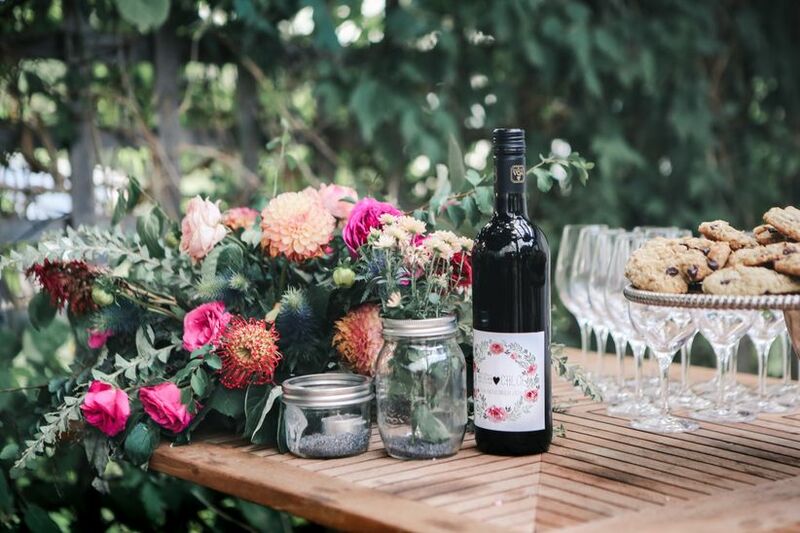 10 Creative Ways to Show Off Your Wedding Monogram | Wedding Ideas ARE YOU A VENDOR? 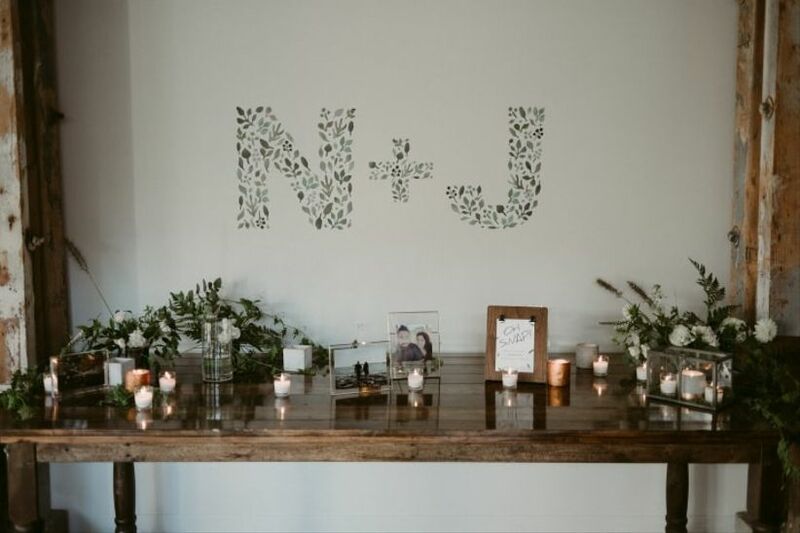 Want to stamp your initials all over your big day? 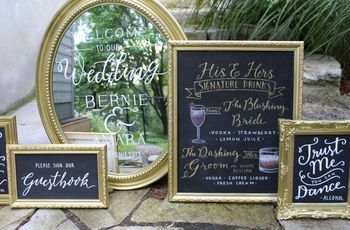 Here are a few ideas for where you can use your wedding monogram. So, you’ve created a wedding monogram? Now it’s time to put that baby to use! 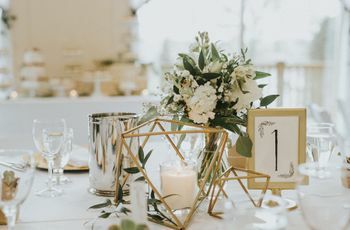 There are plenty of ways to add your initials to your decor, desserts and more, and we’ve rounded up a few of our favourites here. Whether you want to subtly work it in or plaster it all over everything, you’ve got options. 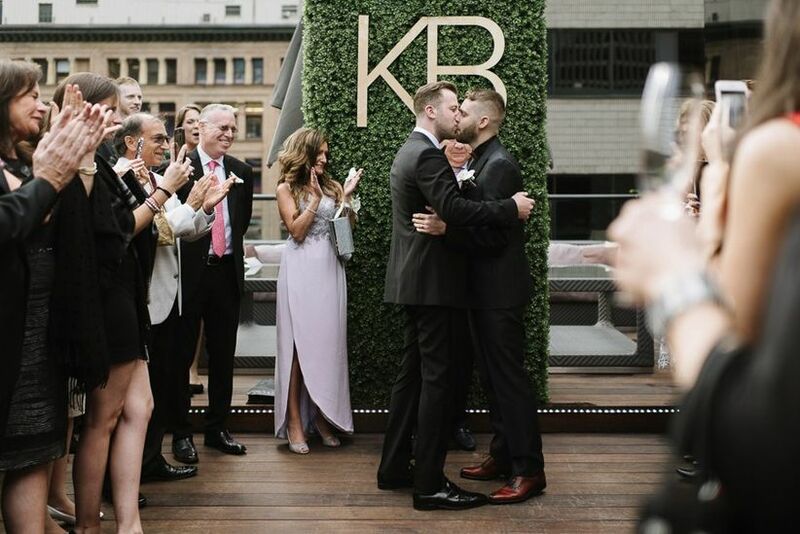 Here are a few creative ways to show off your wedding monogram. 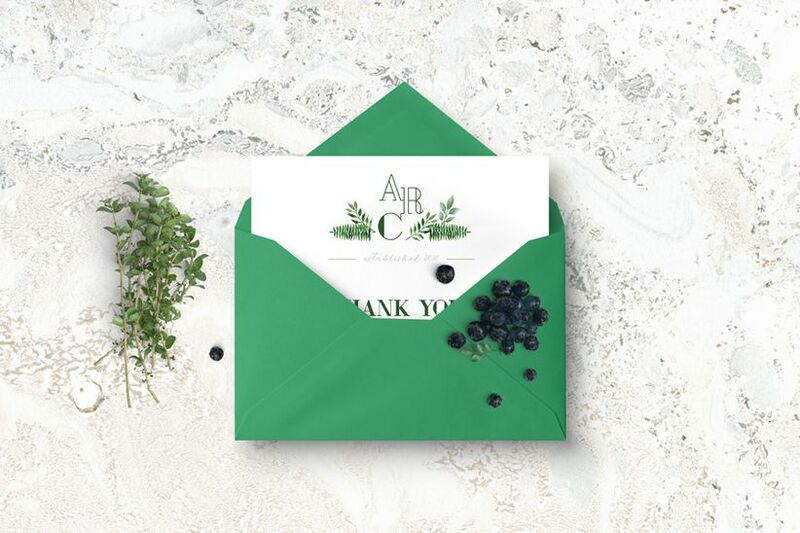 Stamp your save the dates, wedding invitations, menu cards, thank you notes and more with you and your future spouse’s monogram to give them a little extra dose of personalization. You can work them into a filigree-esque design if you want to be more subtle or add it in big, bold text to really pack a punch. 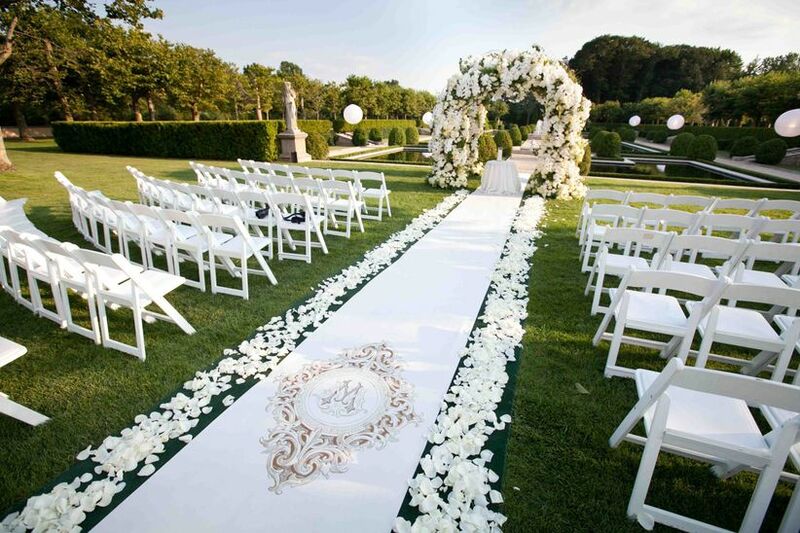 Amp up your aisle style by adding your wedding monogram to your runway. 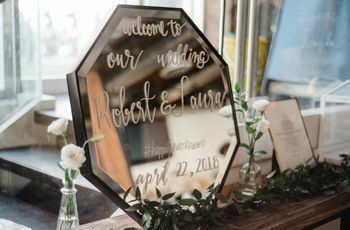 If you don’t want to get your runner custom printed, you can add a decal or have your florist craft it on top with petals. 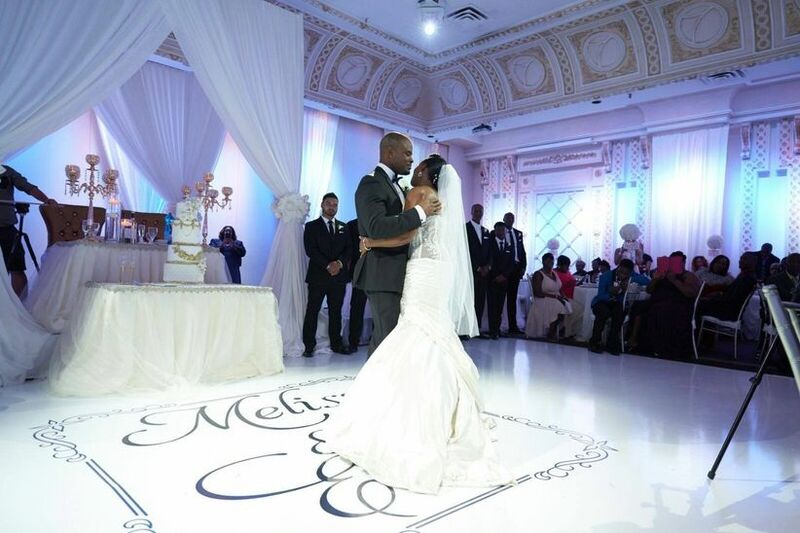 Say your wedding vows with your initials in the background! This is an easy way to add a little extra something to your altar without going overboard. Instead of using itty bitty figurines of you and your better half, use a monogram wedding cake topper. 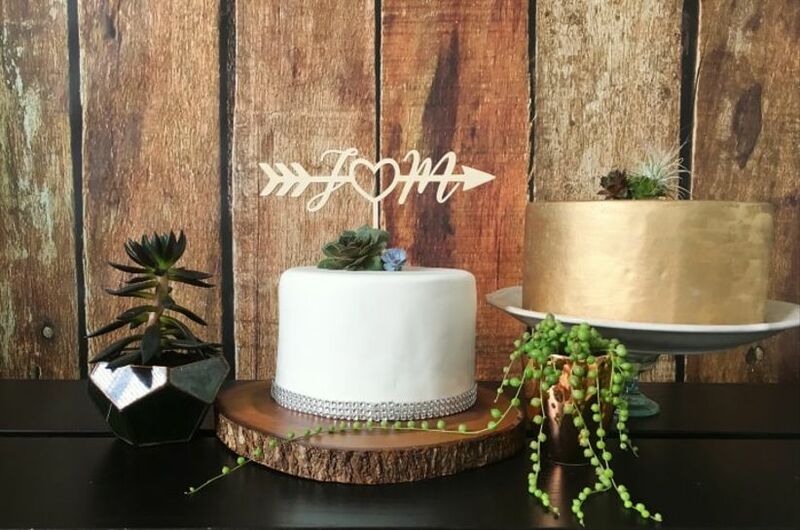 This looks great on just about any style of confection, from faux bois tiers to dreamy geode cakes, so you can make it work for your unique wedding theme. 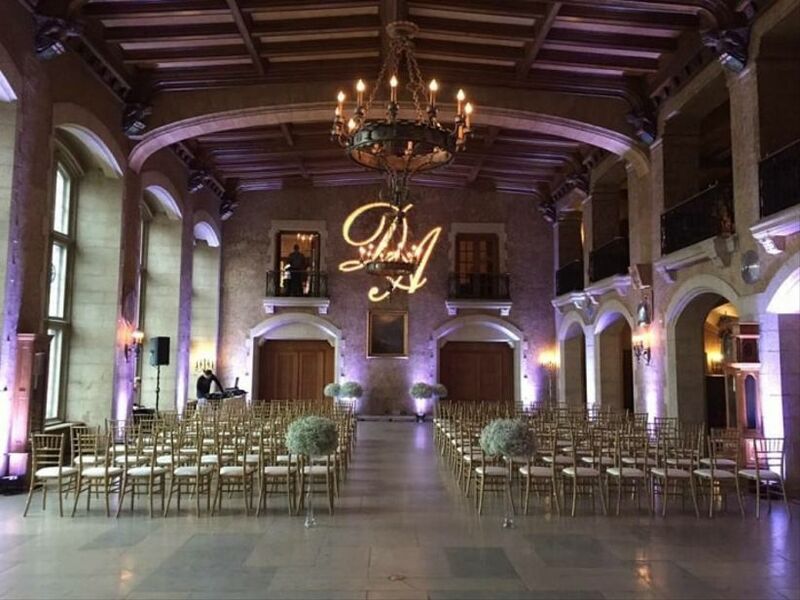 Use gobo lighting to project your initials onto the wall of your ceremony and/or reception venue. This is an awesome option if you’ve got blank walls to fill as you won’t have to go overboard decking them out with decor. 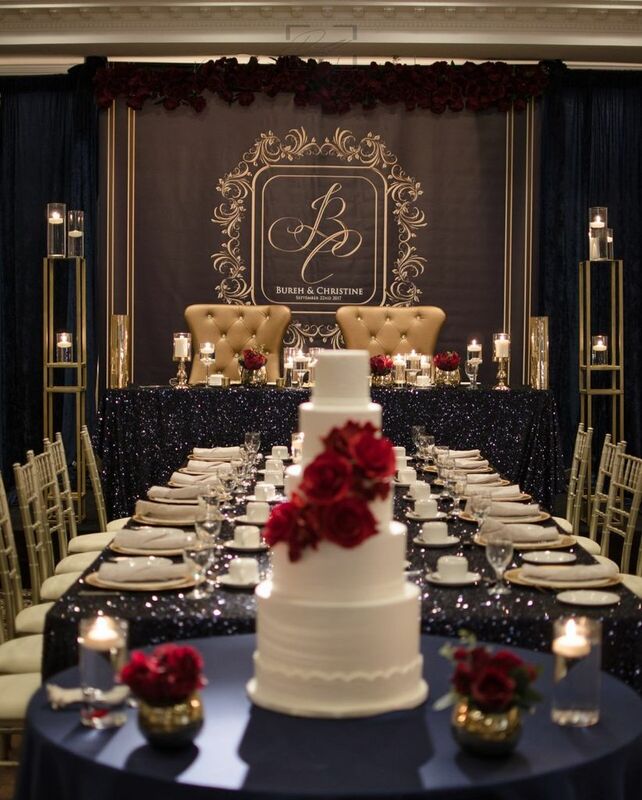 Mark your sweetheart table by adding your wedding monogram in marquee lights, signs or on a banner or printed right onto your linens. This addition is bound to make your dining set up 100x more photo-worthy. Dance the night away atop of your wedding monogram by stamping it onto your dance floor. You can get a decal custom made or have it projected in lights right onto the floor. 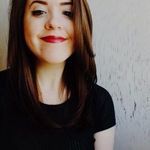 Go beyond a custom hashtag! 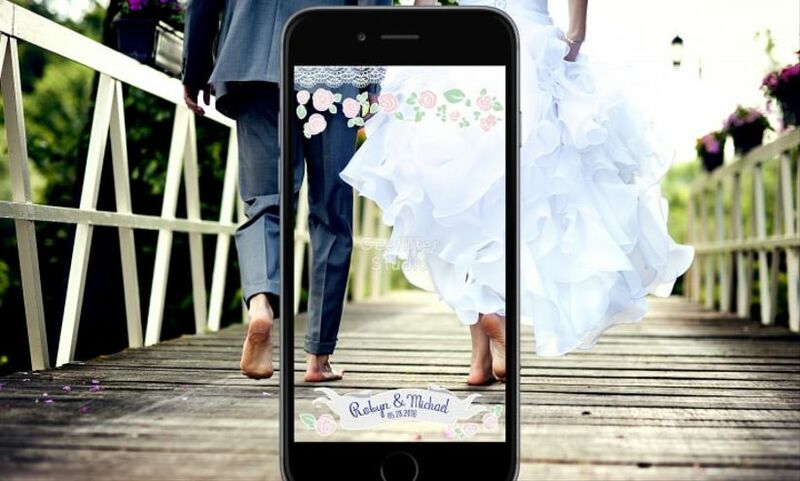 Take your social media to the next level and use your wedding monogram to create a Snapchat filter. 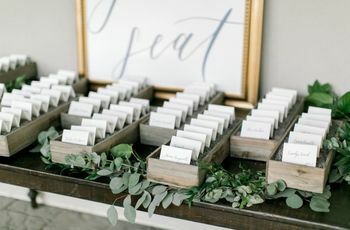 Gift your guests with some adorable monogrammed wedding favours when they leave. This works great for cookies, wine bottles, candles, koozies and just about anything else. 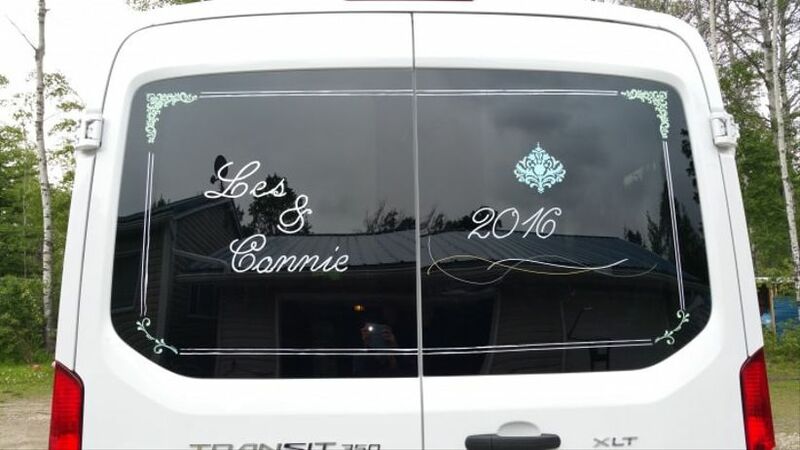 Decorate your guest shuttle and limo with a customized window decal or dress up a ‘Just Married’ sign with your initials for a stylish getaway car.